New Delhi: Ministry of Labour and Employment Secretary Shankar Aggarwal along with SMC Global Securities CMD S.C. Aggarwal, Central Provident Fund Commissioner Dr V.P. Joy, ASSOCHAM Secretary General D.S. 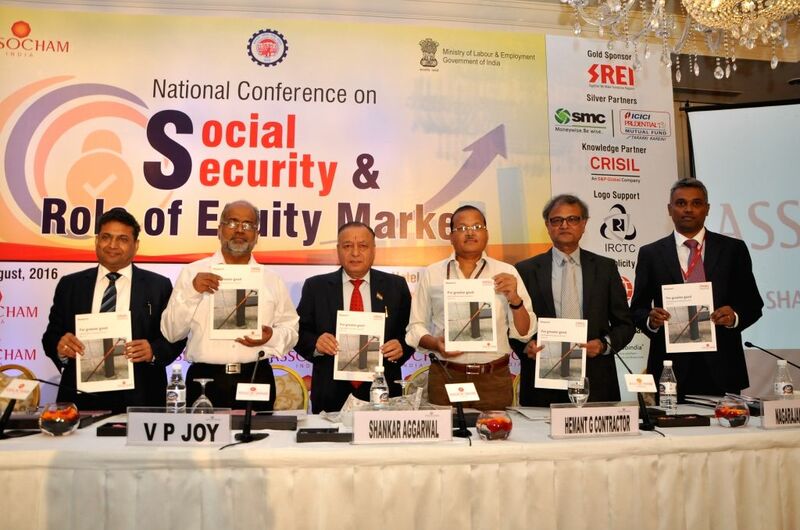 Rawat, PFRDA Chairman Hemant G. Contractor, CRISIL Research Business Head Nagarajan Narsimhan releases ASSOCHAM-CRISIL Study Paper at ASSOCHAM Conference on Social Security & Role of Equity Market in New Delhi, on Aug 3, 2016.